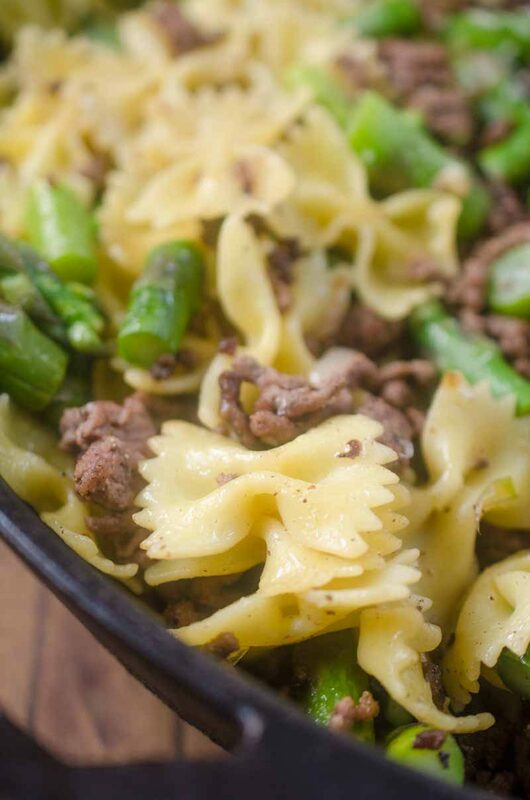 This Beef & Asparagus Pasta Toss is loaded with ground beef, asparagus, shallots and garlic. 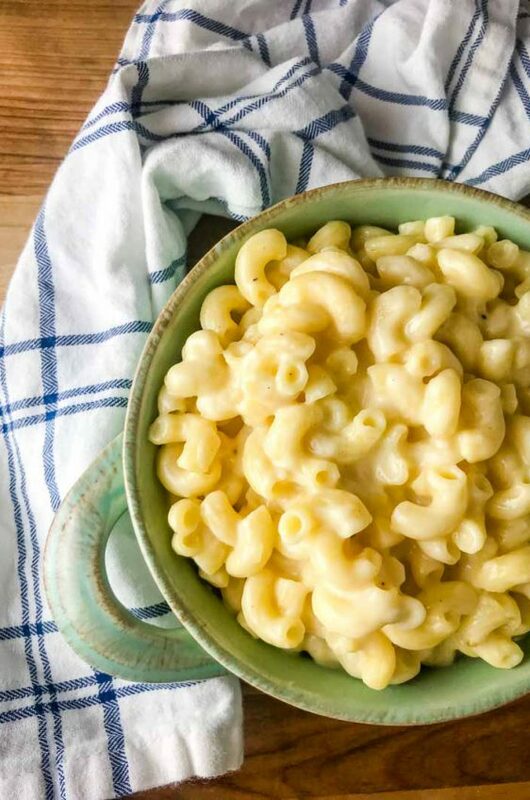 It’s quick, easy and the whole family will love it! This post is sponsored by the Washington Beef Commission. We are grateful for our sponsors as they allow us to bring you delicious, free content every week! Everyone needs to have a few 30 minute meals in their arsenal. 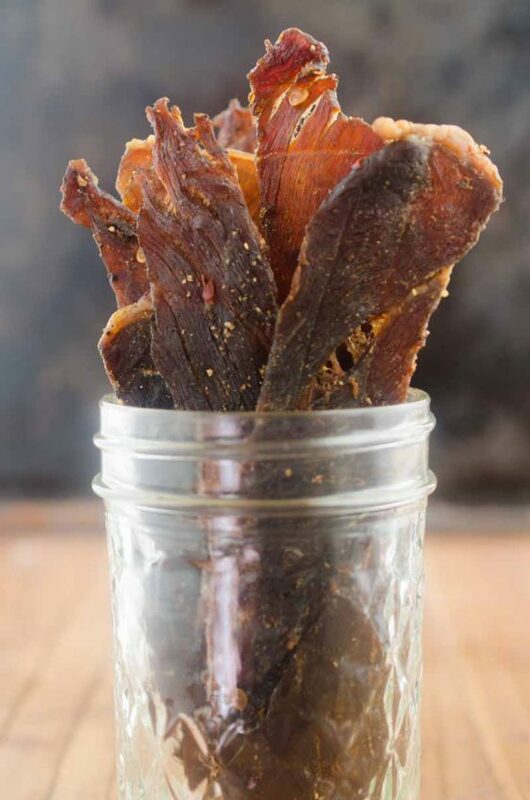 For those days when you just don’t have time (or want) to spend a ton of time in the kitchen. Pasta dishes are great for that. 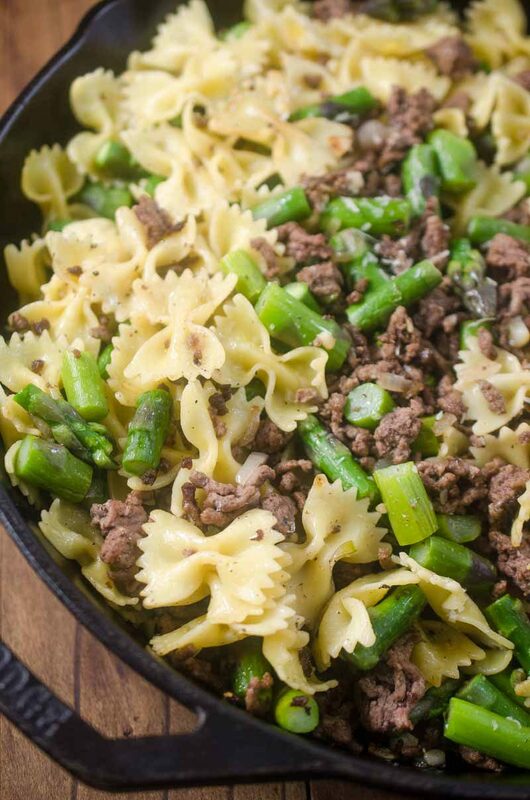 Take this Beef & Asparagus Pasta Toss for instance, it is chock full of bow-tie pasta, ground beef, asparagus, shallots and garlic. And it comes together in 30 minutes! 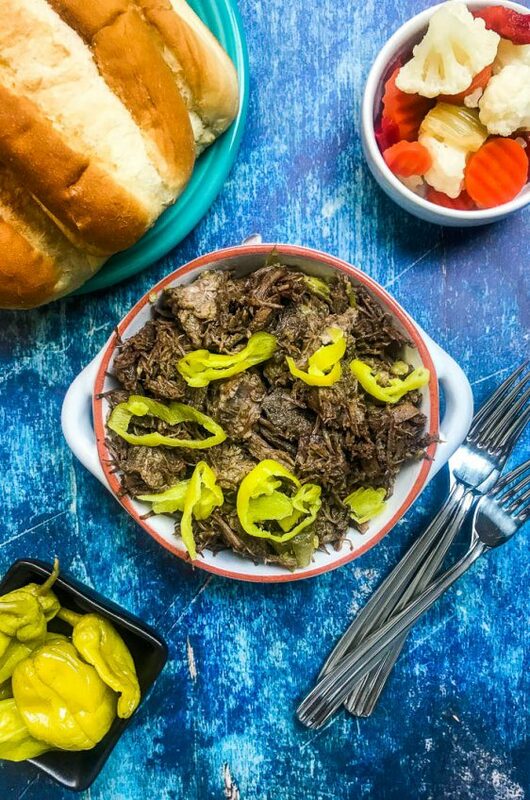 This is the third recipe in my series with the Washington Beef Commission. This process thus far has been pretty fun. I am looking at beef in a whole new light. I am finding it a lot more versatile than I used to. When it comes to beef, I’ll admit that I only think to use ground beef when I am making hamburgers, meatballs or meatloaf. I never think to add it to a non saucy pasta such as this. However, ground beef is great to use in quick dishes like this because it cooks so fast. I also used to think of ground beef as a part of a heavy meal. 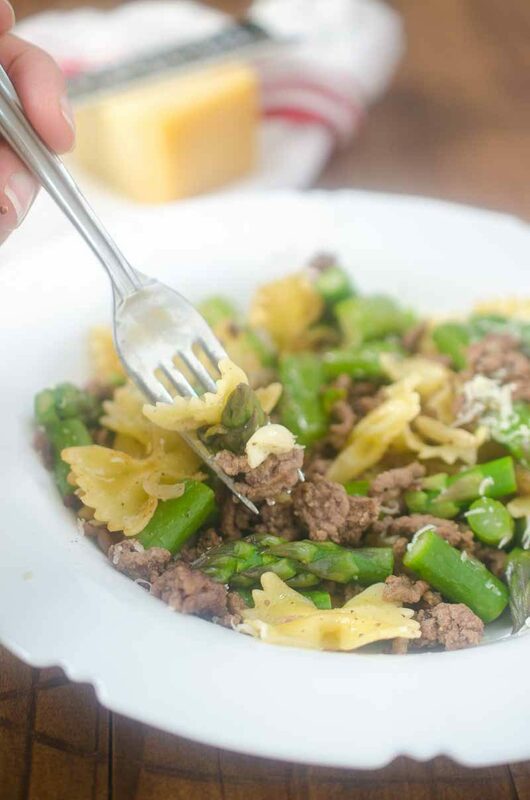 This Asparagus & Beef Pasta Toss is actually pretty light. 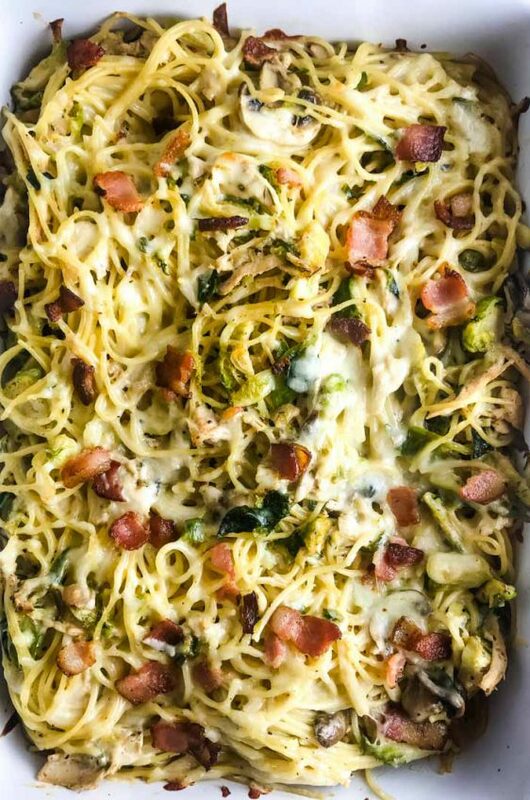 It’s filling but not overly so, making it a perfect dish for spring or summer dinners. And the fact that you need less than 10 ingredients makes it even better! One last note, I am gearing up to go on my Washington Beef Experience tour in a couple of weeks so be sure to follow along on Instagram! I am looking forward to learning much more about how beef is raised and sharing it all with you! Cook pasta in boiling salted water 10 minutes or until almost tender. Add asparagus; continue cooking 3 to 4 minutes or until pasta and asparagus are tender. Drain well. 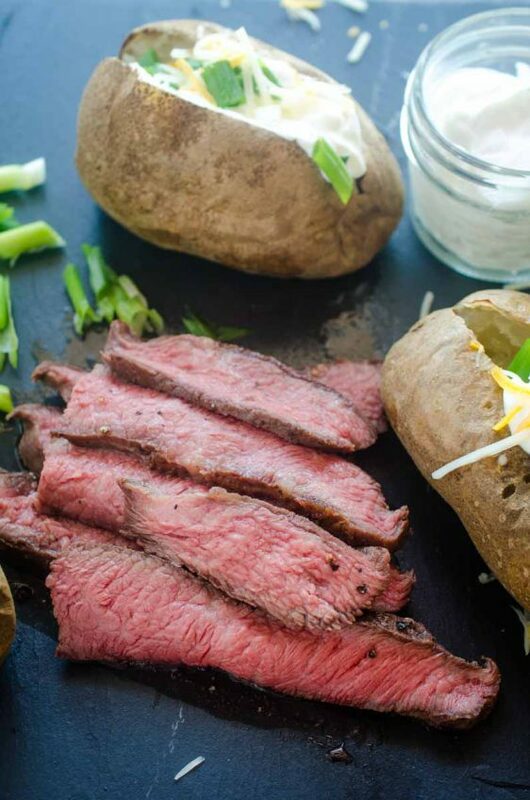 This recipe is courtesy of the Washington State Beef Commission and The Beef Checkoff. That was delicious! So easy too! 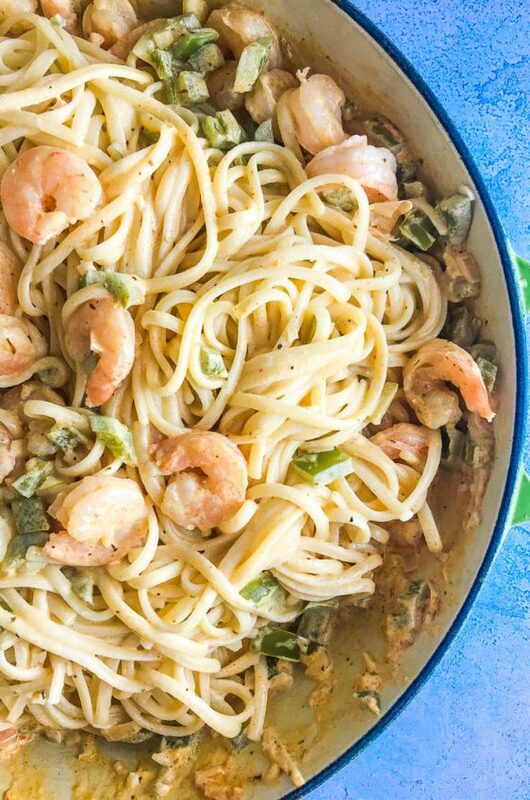 It looks so easy….perfect for any night dinner!! mmm…this is such a wonderful dish!! So hearty and comforting!! Looks so hearty and comforting! All the noms. Love anything with asparagus! Asparagus is a fabulous summer vegetable, especially when it’s fresh. What a great dish! 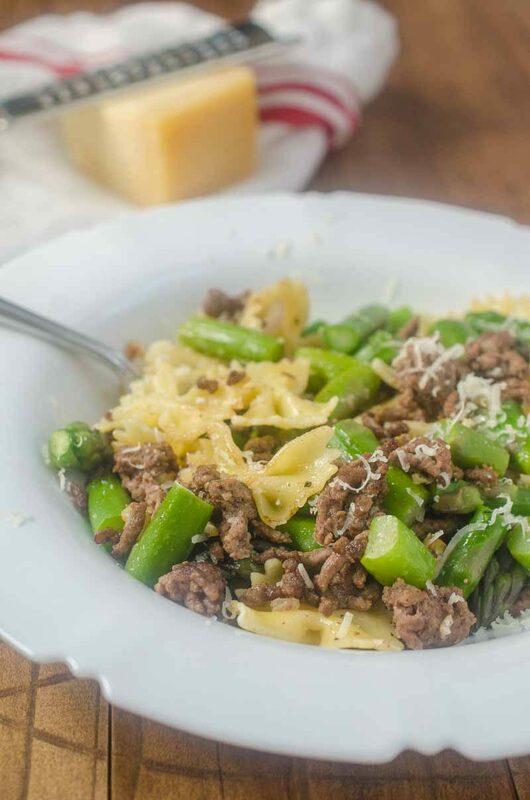 We love asparagus and the idea of adding ground beef is a nice change of flavor.